In writing up a project for a client, I drafted this short reminder on how to write effective fundraising letters. “Dear Friend” doesn’t cut it. Studies show the first thing people look for is their address is at the top of the page and their name(s) in the salutation. Not having those increases the chances the letter will be tossed without being read. There is an effective P.S. It’s a fundraising letter so don’t put lots of “the weather here is such & such.” Get to the ask as quickly as possible. Resist the temptation to fit as much text on a page as possible. That just looks like a grey box to most readers. Allow for wide enough margins and no font less than a 12 point. Older eyes will thank you. Another way of making this easier to read is to avoid “justified” text. Most find text aligned to the left easier to read. These should be sent at least 3-4 times a year. The good thing is, the letters don’t need to be radically different. Test some variations and then use the one that gives you the best response. You will remember what you sent three months before, but most donors won’t. Repeating the story will help them remember the story. I can already see one thing I missed. Can you see it? And what would you add? 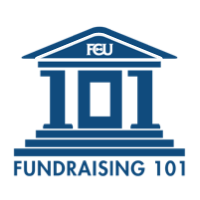 Want more fundraising letter tips? Go to https://fundraisingcoach.com/fundraising-letters/ and sign up for the free 4-week email course. You didn't mention font style. I prefer Arial, because I think it's easy on the eyes and I've thought it lets me get away with using 11 pt. at times. Maybe I've been thinking wrong? This was mostly a good reminder article for me. Like reminding me the PS is the hardest thing for me to write! I hadn't thought about white space. More space between paragraphs? These short articles are helpful reminders and making points I hadn't thought of! Thanks! That was one of the things I was thinking of!! All I've heard is that sans serif fonts like Arial is good for headlines but hard for reading. Serif fonts like Times New Roman are apparently easier on the eyes. And size does matter. I try to get my clients to not go below 12 point. If you're not sure, have someone over 70 read and see if they strain. If they do, make it a little bigger. No sans serif! It's too hard to read on paper, and if your letter is at all hard to read, your reader won't bother. Focus on the donor, not a list of *your* achievements. It's about what they can do, not what you've done. Keep the paragraphs short - I try not to exceed 5 lines at any time. And mix it up a bit - if it all looks too uniform, it can be too intimidating to bother with. Forget most of what your 3rd grade English teacher taught you. Use contractions, use fragments, use ellipses... whatever it takes to make it sound like one person talking to another. Keep the reader moving along easily! Marc, I'm not sure what the one more thing you were thinking of is... I keep coming up with lots of things I think about! As soon as I published this, I realized I didn't mention font OR donor focus! Mary2: Great point there also. It's really good to let people know they're appreciated! Marc: I've got Jeff Brooks' template posted over my desk. I love that! I've also been learning that the letter might read as repetitive to you, and that's ok. Especially since people skim, you need to make your point (usually your ask) several times for it to get through. I always am interested in how much response writing fundraising letters gets. It shows how important it is! But the discussion on font I think points out you need to know your donors. I have had positive comments on not using Times Roman. But now that I'm writing for a different audience, I should revisit this. Mary: Thanks for posting the link. 🙂 Jeff is amazing at fundraising letters. You're so right on the skimming. I just walked a coaching client through revamping her entire newsletter so skimmers could still "get" her message. The articles were terrific. I wanted to make sure as many people were able to benefit as possible! Lillian: It's crucial to know your audience, isn't it? And it's crucial to keep testing every once in a while to see we're still using the most effective methods! Get it out in a timely manner. We received an end-of-year appeal letter from my former employer on December 31. It was dated December 17. It was the only appeal in 2010. Thankfully, they are well supported by grants. Nancy: Timeliness IS vital. Both in having the date on the letter be close to when the letter is dropped AND repeat mailings throughout the year! I'd add: Start right in with a compelling story that weaves through the letter and makes the case for support. I worry much more about that then font (besides, I'm wondering when the last time those research studies were updated). Thanks, Marc. Two questions, related to your advice that they should be sent 3 or 4 times per year. Any thoughts on times of the year that are better or worse than others? Also, what of the concern that supporters will get put off by being asked "too often"? Thanks Gayle, great point. A compelling story is important...but I'd tweak it to say a story that's compelling to the donor. Too often we get in our own little world and forget what others will really engage with. I prefer 4 times a year but have heard of organizations having success with 13 times. Regarding timing, if we're sending something 3-4 times a year, when is it ok to hit up people who a) responded and b) didn't respond, to the December year-end appeal? Barry, I think it's less a function of how often and more of how compelling. If your communications aren't meaningful to your donors or prospective donors, then once a year might be too much. I know I've been mailing more but not necessarily solicitations. I've added newsletters - with an envelope but no hard ask. Lots of donor love. And it's paying off. If you're doing it right, your donors *want* to hear from you - they give because what you do matters to them! Time of year may really vary depending on your organization, though I think the end of the year is a biggie for everyone. These are excellent suggestions. I would recommend also adding what your donors will receive in return, like adspace, or recognition as a sponsor, or thank you gifts. I would also refrain from compelling stories; if the cause is good and well-presented it should stand on it's own without guilting people into giving... carrot over stick and all that. Thanks for the posting. Oh wow, Jen, we see things very differently! I think the "in return" stuff is more about the intangibles, (unless you're dealing with a corporate sponsorship ask - but that's often less about philanthropy and more about marketing). And compelling stories, to my way of thinking, are absolutely the heart of it. Cannot have too many. Guilt motivates, for sure. But so does hopefulness, and that's what we're for, right? It's not: this is a terrible situation and you can't change it, so send us money. It's this is a terrible situation and together we can do something about it! Not to digress too much, but just like giving is not just money, contact is not just letters. We have personal contact between the person who got the sponsor and the sponsor with a quick call, or note just to say hi and what can we do for you? Lunch with the Board Chair, special attention at an event,follow-up thank you etc. Our focus is all about "taking care of the donor" throughout the year so they don't just hear from us when we want something from them. It takes the pressure off "the letter" and gives you the opportunity to learn about them. A compelling story is essential. Mary: Thanks for the link to the post about Courier. Makes me shudder but I definitely need to test! Hey everyone, check out this picture. "Look, we just want your money, so here's an envelope to send it in. What were you expecting, a love letter?" I love all the tips from you Marc and the follow-ups by your readers. What strikes me about this letter is that it doesn't have to be only for donor appeals. As the Business Development Manager of my company, I find a lot of these awesome tips useful for "for profit" sales! I mean, how many of us get letters we barely skim through because of how the letter is written, or more importantly, NOT written. I hope I haven't stepped on the not-for-profit world's toes, but this "for profit" entity likes what you're doing and will be using these tips in my own communications. I mean, can you imagine getting a letter from Bank of America saying - "Wwe're changing the terms on your credit card. From now on, please be careful about how you do X, because we'll be charging you extra for it." Instead of two pages of 8 point legalese! I also have to add that in my years in the nonprofit sector, I've often thought that for profit business could learn a good deal from us. Somehow we do more with less, and with more dedication than many corporations do! Love these 5 simple tips for all letter writers. Sure wish everybody would do them! Thanks Marc! Did you see the letterless appeal I got in the mail today? Thanks, Mary and all for helpful insights on this! the link you put up (letterless appeal) is not working... so now I'm getting curious! Weird. Are we FB friends? Anyway, how does this link work? My daughter has been given a once in a lifetime opportunity to travel from Melbourne (Australia) to Disneyland California and participate in Disney and Universal Studios dance workshops and also perform in the main street parade at Disneyland. The Dance Studio will do group fundraising but we have been given permission to seek our individual sponsorship/fundraising. As my daughter is only 8, I will accompany her and want to approach previous employers and some local businesses for sponsorship/fundraising. As this is a personal venture, have you any additonal suggestions.